Peprotech, Profitable Business Development, Sydney, NSW. 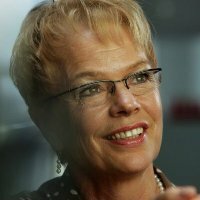 Dr Margret Schuller (PhD – MBA – BScApp) has over 25 years experience– covering the full spectrum from diagnostic laboratory and clinical research, to sales, marketing and product management within the diagnostic and life science industry. She has specialties in all aspects of business development and established several start-up bio-tech companies in Australia. She leads relationship building with Key Opinion Leaders, lectures, organises road-shows, promotes companies at trade shows and conferences, initiates and monitors Clinical Trials to create end-users’​ positive awareness in company’s products and/or services to increase profitability. She is competent in medical device regulatory affairs and MSAC (Medical Services Advisory Committee) applications, analysis of market potentials and opportunities. With her creative vision and innovative strategies, she successfully negotiates mutually beneficial agreements with manufacturers, distributors and end-users, as well as oversees corporate image and brand awareness, sales and customer service training.